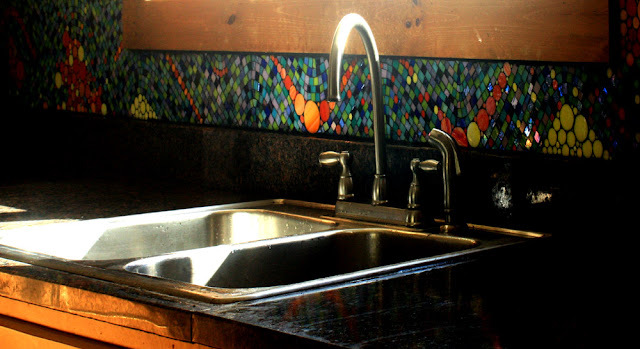 I created this custom mosaic to brighten up a farmhouse kitchen in Vermont, where the winters are long, cold and often gloomy. I used the outside scenery to conceive the design of the classic square pattern combined with the playful element of circle accents that follow the fluid lines of rolling hills creating a visually engaging effect. 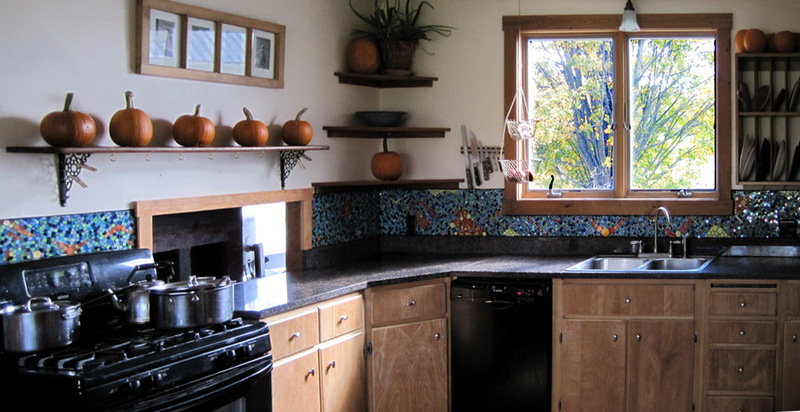 An over view of the kitchen after the install. A close up of the corner - because my mosaics are sight-specific, the design flows into a seamless transition from one adjoining wall to the next creating the optimum visual effect. A love the life that´s you gave to this Kitchen!!! !